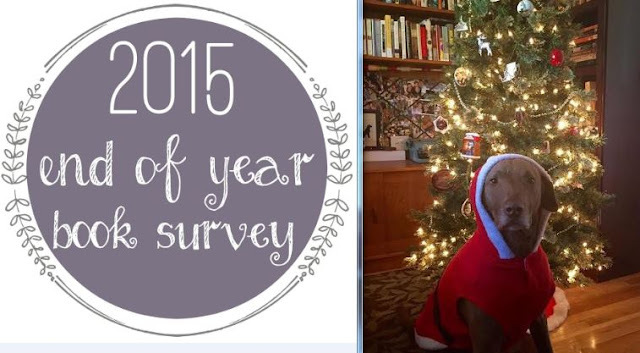 It’s almost 2016, the perfect time to take a bookish survey. I love these because they make me think about all the books I've read over the past 12 months, especially ones I may have forgotten about from the beginning of the year. Any books I reread this year are not eligible for this list, but I will say that this was a big rereading year for me. Being pregnant made reading more difficult because I was so tired! I found myself returning to old favorites like Lord of the Rings, Rebecca, Emma, the Harry Potter series, Empire Falls and others. It was such a treat. I also don’t limit myself to one book per answer if there are two or three that really fit perfectly. 2. Book You Thought You Were Going To Love More But Didn’t? Master and Commander, meh, I’ve heard it gets better so I might give the next book in the series a shot. 3. Most surprising book you read? Kafka on the Shore, my first Murakami book was so readable and I was expecting something much more intimidating. Station Eleven and Tiny Beautiful Things, both are wonderful! 5. Best series you started in 2015? / Best series ender? 7. Best book from a genre you don’t typically read? I read a few pregnancy/kid books this year, definitely out of my comfort zone, but I’m Pregnant was really helpful, Why Have Kids? and Bringing Up Bébé were both really interesting as well. Salem’s Lot, might have put it in the freezer. 9. Book You Read That You Are Most Likely To Re-Read in 2016? Elnora from A Girl of the Limberlost, so fierce an intelligent, I just loved her. Tess of the D'Urbervilles, Hardy gets me every time. 7: An Experimental Mutiny Against Excess and The Life-Changing Magic of Tidying Up, both made me seriously rethink the amount of stuff that is in our house. Roll of Thunder, Hear My Cry, can’t believe I didn’t read this when I was young. 18. One True Pairing (a couple that you ship)? Love and Freindship, I always love Austen, but I wasn’t expecting much from her juvenilia. Turns out it's hilarious! 21. Best Book You Read In 2015 That You Read Based SOLELY On A Recommendation From Somebody Else? Me Before You, I was expecting cheesy chick lit. The Nightingale, beautiful WWII story about sisters. As You Wish, a memoir about the making of The Princess Bride. The Nightingale, I didn’t cry, but it was heartbreaking. The Circus in Winter, I read this because it’s set in Indiana, but I really enjoyed it! The Marvels and Kafka on the Shore, the first because it’s half text only and half graphic novel illustrations, the second because it’s Murakami and that’s all the explanation you need. 30. Book That Made You The Most Mad (doesn’t mean you didn’t like it)? Tess of the D'Urbervilles, I was so mad at both of the men in the book; Alec because he’s awful and Angel because he’s so hypocritical. 1. Favorite review that you wrote in 2015? The Fellowship of the Ring, The Two Towers, and The Return of the King. These weren’t my most popular reviews, but I loved reviewing them! They were rereads and I never reviewed them the first time around. 3. Best bookish event that you participated in? I loved co-hosting the Salem’s Lot readalong and participating in the spring and fall Dewey Readathons. Being pregnant! It's been hard to concentrate on certain books and harder to get reviews written because I was so tired. 5. Best bookish discover (book related sites, book stores, etc.)? LibraryThing finally has an app! 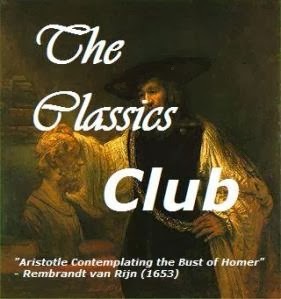 I completed the Back to the Classics Challenge and the TBR Challenge. 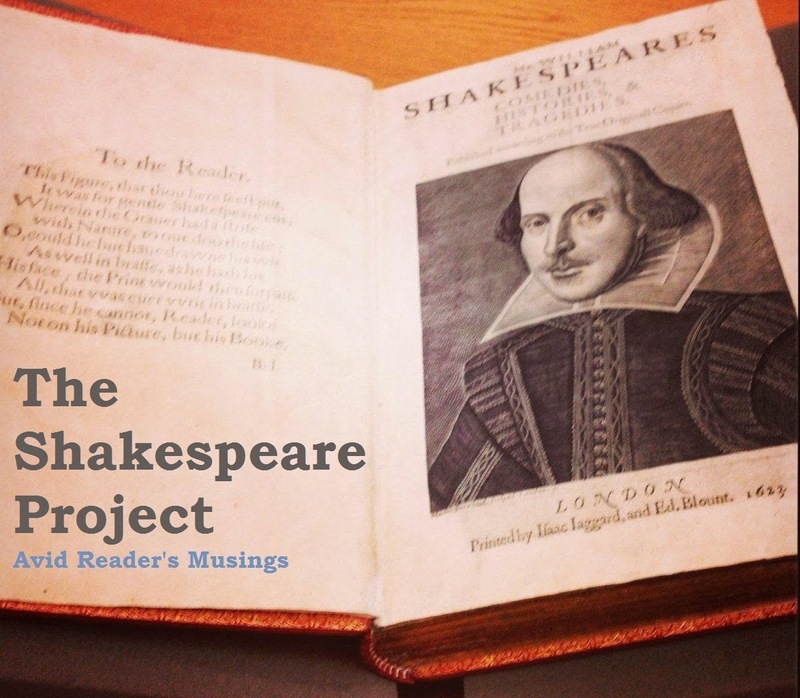 I also knocked some books off my lists for the Classics Club, Reading the States, and my Shakespeare Project. With a newborn baby due in January I'm not tackling any challenges next year. My plan is just to read whatever I want whenever I can! It will probably be a very different reading year (with a lot more children's books), but that's ok! I didn't complete all the books on my Back to the Classics Challenge list, but I got through eight (one entry)! The challenge is hosted by Karen of Books and Chocolate. Below are all of the categories along with the books I finished. You can see the complete list of details in Karen's post here. 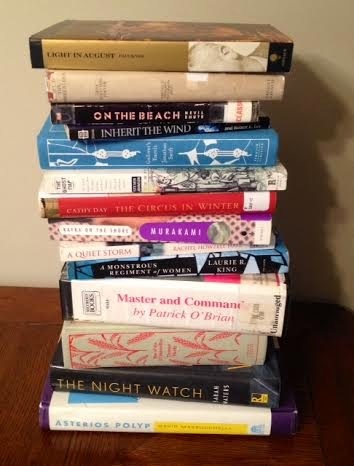 2015 TBR Pile Challenge Complete! Adam, the Roof Beam Reader hosted the TBR Pile Challenge again this year and despite the craziness of the past few months, I actually completed it! Here's the link to my original post. The goal was to read 12 books from your “to be read” pile within 12 months. Each of the 12 books must have been on your bookshelf or “To Be Read” list for AT LEAST one full year. Caveat: Two (2) alternates are allowed, just in case one or two of the books end up in the “can’t get through” pile. There were two on my main list that I didn't get to, but I read both of my alternates. I found a new favorite, A Girl of the Limberlost, tried Haruki Murakami for the first time, and read a good book set in my home state, The Circus in Winter. It was definitely a successful challenge. Yes, this is one of THOSE posts. The ones where a blogger talks about struggling with priorities and trying to find balance. Sorry in advance. I started this blog six years ago and this is the 1,458th post. 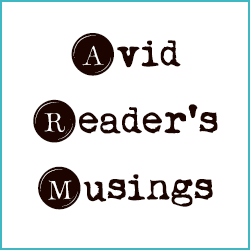 In that time I've reviewed books, participated in more than a dozen readalongs and nine Dewey Readathons, and most importantly made friends with so many other amazing bloggers. In May, the Huz and I found out we were expecting our first little one. Since then life has felt like a whirlwind of fatigue, excitement, and a million other things. In addition to preparing things like the nursery, we've been attending birthing classes, getting life insurance, creating wills, and researching all of the things you're supposed to know before caring for another human being. The Huz has switched jobs and is now working two different ones full time. I'm working full time and my office has gone from a staff of 14 to 8 in the span of one year. Needless to say things have been a bit crazy this year. While I've still been reading a lot, I have barely been reviewing. I have been keeping up with my Classics Club duties, but even that has been a struggle. So I've decided to give myself a bit of a break. I've never taken a break from this blog and I never really planned to. But I know that right now I have so much stuff hanging over my head and I feel like I'm constantly trying to find a way to get through it all. This is new to me. I've never felt like this before and I'm finally realizing that it's ok to put a couple things on hold for a little while instead of constantly feeling like I'm dropping the ball. Life doesn't stop when you get pregnant or have a kiddo, but it certainly does get a bit more complicated. 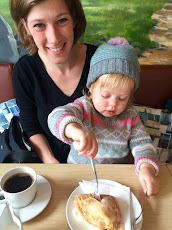 I hope that as I find my new balance I'll be able to be back at blogging regularly in the not too distant future. Until then, I hope you all will understand my sporadic posting. Thanks to all of you!